Featuring two levels of exhibits that chronicle, in great detail, life in the Lowcountry, The Charleston Museum is a perfect morning or afternoon expedition for any Charleston visitor who wants to uncover the stories, facts, and interesting legacies behind this southern city's postcard-perfect facade. The museum was initially founded in 1773, making it the first official museum in the country. Inspired partly by the recent opening of the British Museum across the pond, the Charleston Library Society decided to create their own stateside museum, just years before the start of the Revolutionary War. The earliest exhibits focused on New World notables and distinguished South Carolina figures, including Charles Cotesworth Pinckney, Reverend John Bachman, Thomas Heyward, Jr., and John J. Audubon. A long period of warfare and development stalled a public opening, but over time, the museum acquired a number of prominent collections, and opened its doors officially in 1824 to the masses, earning a warm and excited reception. 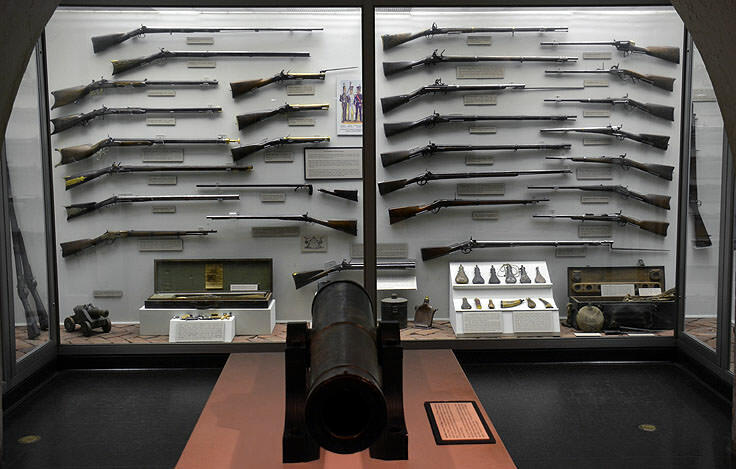 The museum closed for a period during the Civil War, but reopened shortly afterwards and remained open ever since, allowing the public to browse its then centuries-old collections, and garnering new pieces through donations from prominent locals, organizations, and other museums. Today, the expansive and more modern looking brick museum features two levels of sprawling exhibits that cover virtually every aspect of Charleston's centuries-deep history. 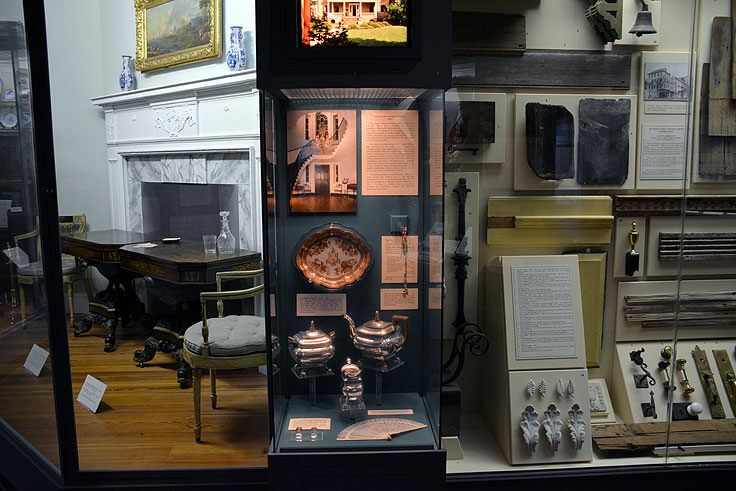 The museum, located on Meeting Street, also manages and provides tours for two historic homes located nearby - namely, the Joseph Manigault House and the Heyward-Washington House. 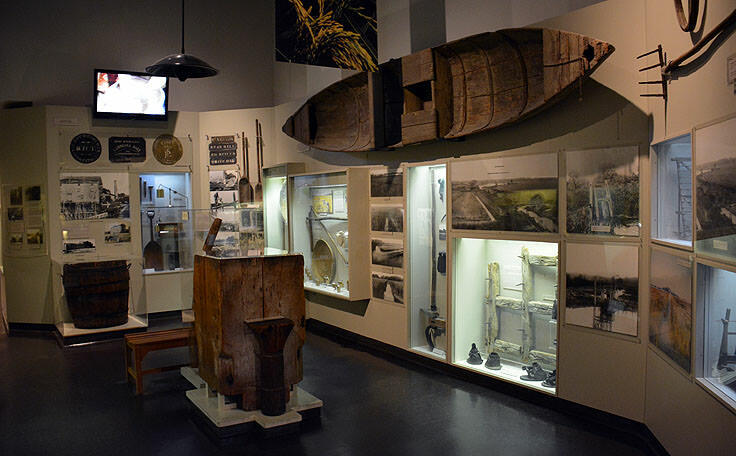 While the primary focus of the museum is predominantly on the Lowcountry's historical background, newer exhibits also include more modern collections such as natural history, and both documentary and photographic resources which are on display or available upon request. The two levels are separated into a series of permanent exhibits. 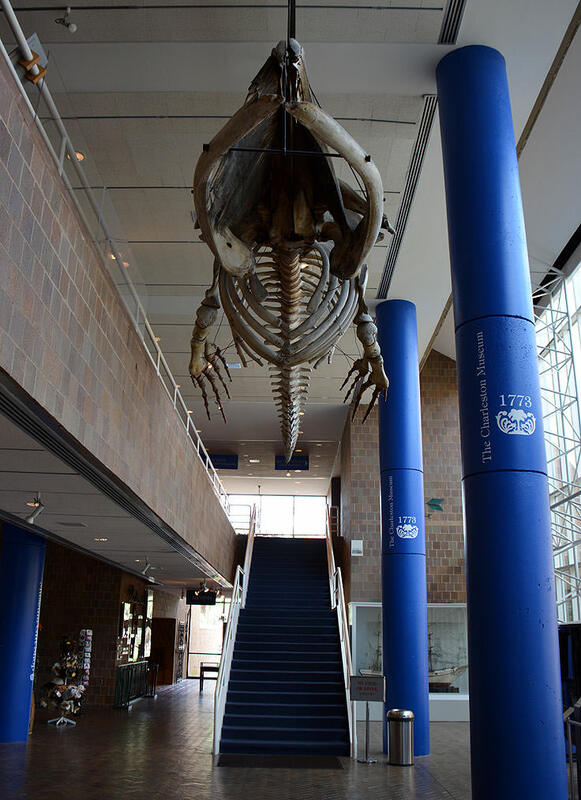 The first level is home to the wide entrance, which is decorated with pre-historic skeletal remains towering overhead, a pretty courtyard, the museum's gift shop, and any temporary displays that might greet and surprise visitors at the museum's entrance. The second level is divided into 8 distinct exhibit areas, which encircle a second, but equally inviting, courtyard. "The Early Days" exhibit honors the museum itself, and explores the first pieces that were contributed to the museum in 1773, while "Becoming Americans" sheds light on this era, from the initial colony protests to the outbreak of the Revolutionary War, and the battles that took place in Charleston's own backyard.The Civil War exhibit is another must-see display for military history buffs, and covers Charleston's role in the great conflict from initial secession to the war's end and beyond, while the "History of the Lowcountry" display puts this city's centuries-long history into perspective, detailing the lives of the Native Americans and the agricultural giants who would soon dominate the Lowcountry landscape. The Loeblein Gallery of Charleston Silver celebrates the city's world-renowned 18th and 19th century silversmiths with a sparkly collection that is sure to grab anyone's attention, and the Historic Textile Gallery is an ever-changing display that features both antique and modern pieces. The Natural History section of The Charleston Museum is a favorite stop for young visitors, with pre-historic birds, reptiles and even mammals uncovered and in full view, and the Kidstory will keep little hands busy with a full range of exhibits designed to teach young patrons the natural and unique wonders of Charleston. 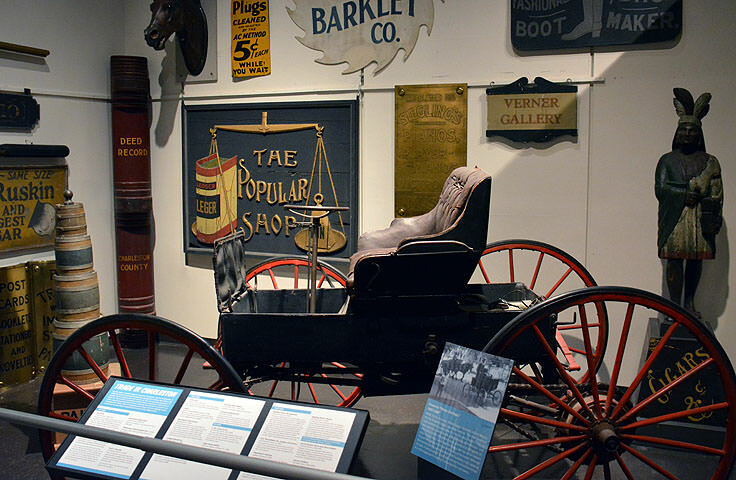 The Charleston Museum also features a number of temporary exhibits that focus on a unique aspect of local history and generally last for several months, ensuring that frequent museum patrons have something new to look forward to with every visit. Past temporary exhibitions include collections focused on Indigo, the Lowcountry's first exported product, and southern fashion throughout the centuries. In addition to the permanent and temporary exhibits, The Charleston Museum also hosts a number of year-round events that engages museum patrons of all ages and interests. Wednesdays are generally reserved for kids, with special children's tours and toddler's days, while monthly or even weekly workshops allow visitors to step back in time and try their hands at a historic and culturally ingrained local craft. For example, the museum features regular classes that focus on a range of activities, from creating the locally famous Sweetgrass baskets, to using Indigo to create dyes suitable for textiles and other materials. A complete list of upcoming programs, workshops, and activities or camps designed just for kids can be found online at http://www.charlestonmuseum.org/calendar.asp. 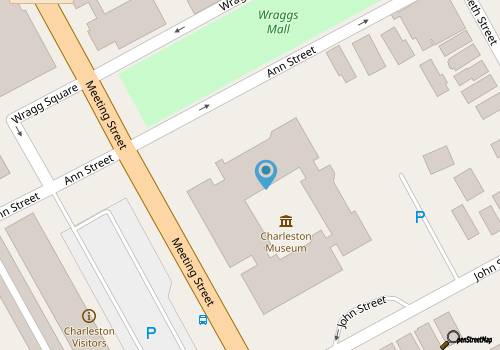 The Charleston Museum is easy to get to, with a central location along Meeting Street, in between Ann and John Streets. The museum is open daily, Monday through Saturday from 9:00 a.m. until 5:00 p.m., and Sundays from 1:00 p.m. until 5:00 p.m.
Tickets for the museum can be purchased at the front entrance on the day of visit, or can be purchased in advance online at http://www.charlestonmuseum.org/visit-tickets. The Charleston Museum also offers combination passes for the museum itself, and the two sister historic homes which are located nearby. Admission generally runs around $10 for adults and $5 for kids ages 3-12, while combination passes for all three sites are around $22 per person. Most museum-goers find the additional home tours perfect bookends to the in-depth museum visits, and reserve a full day to tour all sites in detail. There's a reason why many Charleston frequent fliers advise new visitors, who may be unfamiliar with the area, to make The Charleston Museum their first stop. Loaded with exhibits that span the centuries from the local institution's first grand opening to the recent natural history excavations, the Charleston Museum is an all-encompassing and enthralling collection that pays homage to virtually every component of Lowcountry life. 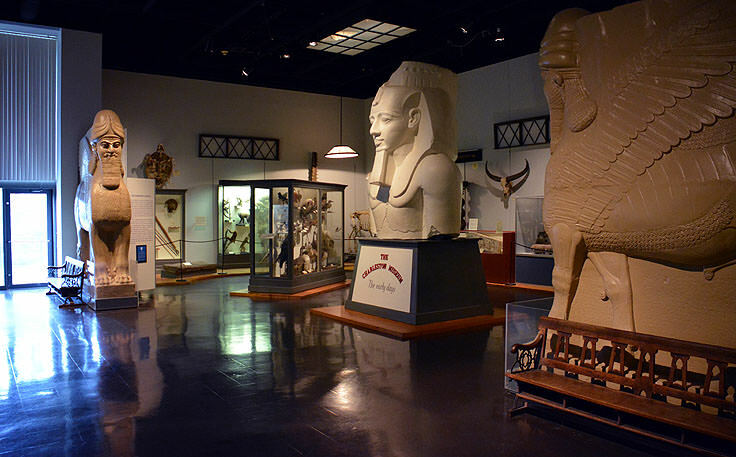 From the Native Americans who originally called the region home to the generals who rose to local and even national fame during Charleston's dramatic involvement in America's major wars, the museum clearly has a display or two that is sure to grab anyone's attention. Visitors are encouraged to spend a full morning or afternoon at this acclaimed site, and dive, headfirst, into Charleston's long and still lingering legacy.